Wave (ii) is going to end. Previously, a bearish impulse in wave (i) has been formed. 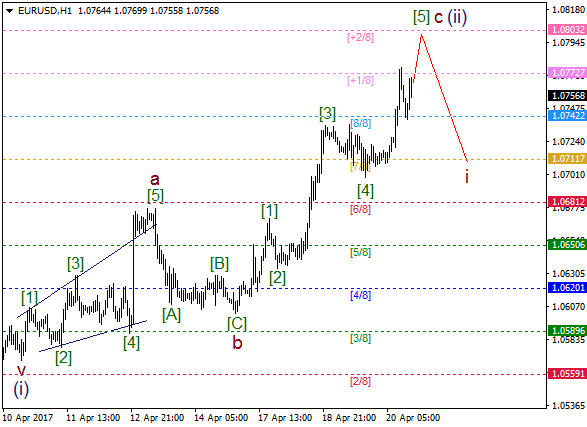 The main intraday target is 5/8 MM Level, which could be a departure point for wave (iii). 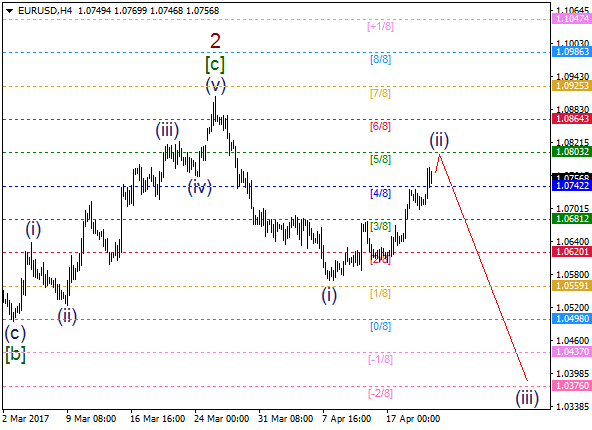 As we can see on the one-hour chart, there’s a developing bullish impulse in wave  of c of (ii). Therefore, bulls are likely going to test +2/8 MM Level during the day. At the same time, there’s an opportunity to have a bearish impulse in wave i of (iii) afterwards.